Hip hop from Perth, Western australia. A little under 2 years ago on the 16th of May 2014, we launched our debut album MD at Mojos Bar in North Fremantle. The line up featured many of our good musician friends (The Lost & Found Trio, Jamahl Ryder, Rights & Paradox, FG, Wisdom2th) and the crowd was filled with all our other friends. We recorded the whole nights audio and managed to get some video footage too. So we’ve dubbed together the audio and video of one to make a live video of Pretty Woman feat. FG & Callum Presbury. This my friends, is the last verse our pal FG performed live before hanging up the mic. 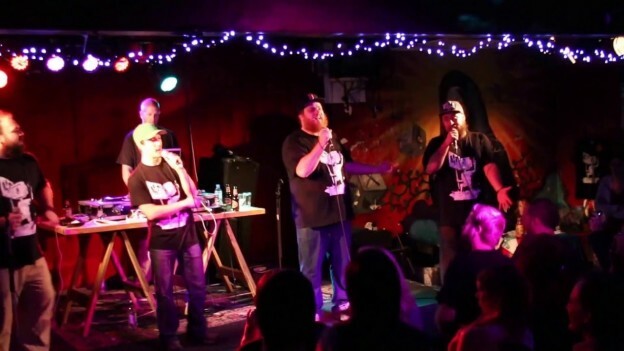 This entry was posted in Misc and tagged aussie hip hop, australiaf, Callum Presbury, FG, Fremantle, hip hop, live, Mojo's, Mojos bar, perth, rap on March 14, 2016 by Percuss.